This 3 Bedroom 2 bath Condo for Sale is located at Regency House in downtown Phoenix. If you're seeking that Urban Lifestyle, look no further! The Regency is within walking distance of the Light Rail, located just off Central Ave and McDowell, make this High Rise Condo an ideal location. With 3 Bedrooms and over 1800 square feet, this 24 hour guarded secured building is an iconic Building in Phoenix's history. Built in 1964, with major remodels over the years, make this 3 bed 2 bath Condo for Sale a Great Value. Priced to sell at $198,000! The Monthly HOA Fees cover virtually everything, Water, Sewer, Electric, Basic Cable/Satellite along with your Home Owners Insurance. Make the call today to arrange your own private viewing! 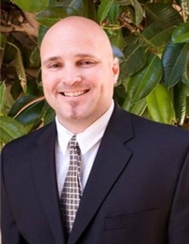 Chris Dunham-The Real Estate Guy @ 602-321-6188.